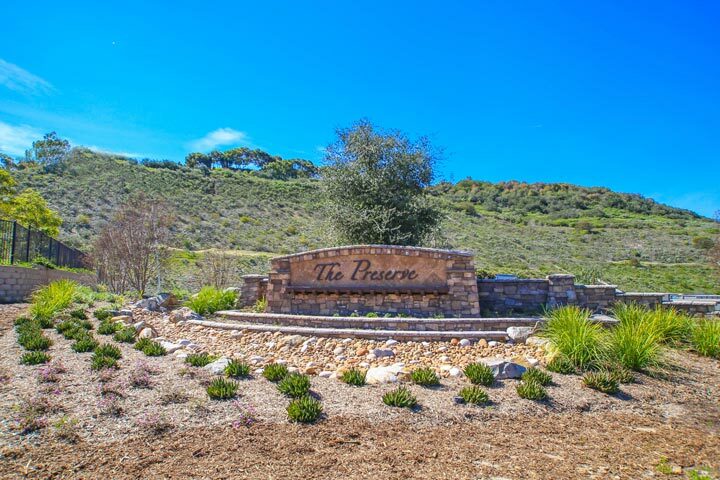 The Preserve homes are located in the beach community of Carlsbad. The Preserve community will feature a total of 294 homes spread amongst four distinct neighborhoods. There will be a total of 4 phases in this construction build out with the first townhouses currently being built. These residences are slated to be priced in the low $500,000 range with two story floor plans that range in size from 1,420 to 1,681 square feet. These homes have great curb appeal with private fenced yards. The builder, Cornestone Communities are in charge of the development here. Homeowners association dues are paid on a monthly basis include common area maintenance. Some of the amenities here will include a resort style pool, spa fitness center and community parks. Please contact us at 888-990-7111 with questions regarding this community and any of the homes listed for sale here.